Last fall, a guy came knocking on my door. He had purchased the derelict house next door and wondered if I would sell my not-so-derelict house as well. I would be lying if I said I wasn't tempted. The housing market in Saskatoon isn't strong. A friend has had her house on the market for four months and hasn't had a single offer. Last fall, a guy came knocking on my door. He had purchased the derelict house next door and wondered if I would sell my not-so-derelict house as well. I would be lying if I said I wasn't tempted. The housing market in Saskatoon isn't strong. A friend has had her house on the market for four months and hasn't had a single offer. Also, although my house isn't derelict, it is old and it's on a double lot. It's a lot of work and expense, which is magnified because I'm single. But knowing the end result would be seeing my house demolished for a new build, I declined. I'm not ready to let go of my home and all of its memories. Tangible things -- "stuff" -- is imbued with memory for me. I hold tightly to meaningful things, using them to trigger and colour in my memories. 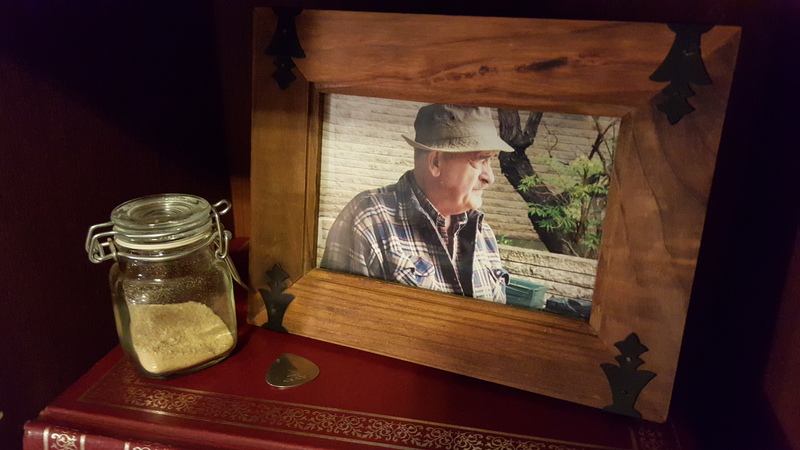 I have a small glass jar partially filled with sawdust, which I collected from my dad's garage workshop shortly after he passed away. It sits on one of my bookshelves, beside a photo of Dad and one of his guitar picks. I still have the collar and tag my rescued beagle Archie was wearing when he arrived to share this house with me, 10 long years ago. I'm not (no, seriously, I'm not) a hoarder of the type seen on the TLC network's Hoarding: Buried Alive. My house has some clutter, but it's relatively neat and tidy. 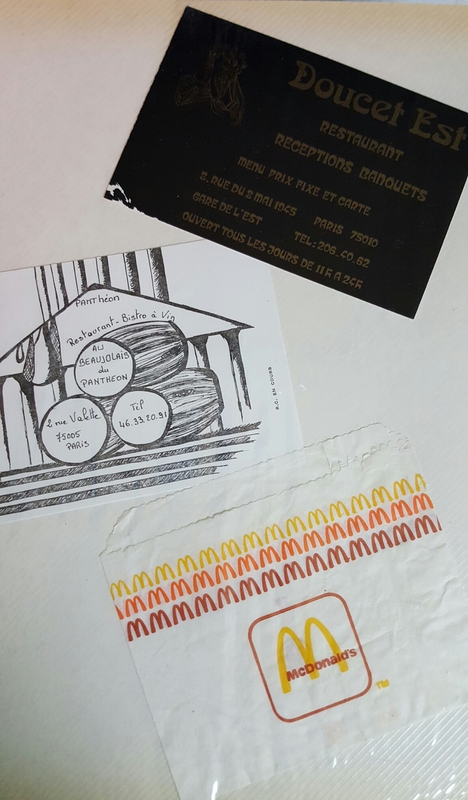 The silly things I've held on to, like the paper envelope from a small order of McDonald's French fries purchased in Paris in 1986, are neatly stashed away in photo albums, scrapbooks and memento boxes. But some things, like a house, can't be stashed away. My parents bought this house in the mid-1990s. It was listed, I believe, at $59,900, which was incredibly low even at that time. Built in 1927 from scrap lumber, it was in poor shape. By the 1990s, it was not a purchase for the faint of heart. My parents, raised on Saskatchewan farms in an era when most rural homes (including theirs) did not have electricity, were used to hard work. They knew what they were getting into, but they embraced it, eager to make this place into their home. 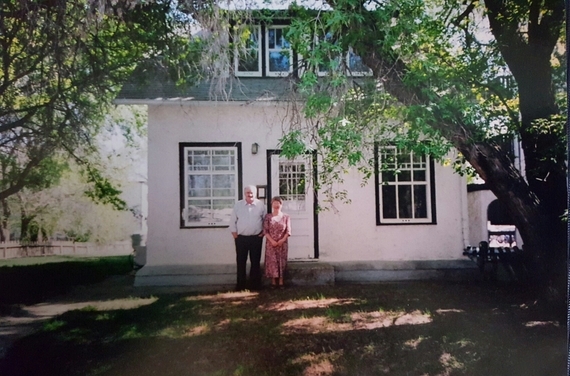 They lived here for less than a decade before they passed away, my mom first in November 2005, and my dad following in July 2006. Everywhere I turn now, there are traces of my mom and dad. My dad, a drywaller by trade, covered the existing lathe and plaster walls with gypsum. I helped him, holding the drywall in place, over my head, as he shot in the screws. Years later, the lessons I learned as his Girl Friday come in handy when I change flush valves in the toilet, build gates and refinish the front steps. I think of him while I work on these projects, using his tools, hoping he would be proud of me for doing my best. My mom, with her extraordinary green thumb, filled the yard with saskatoon and raspberry bushes; tulip and daylily bulbs; peony plants and bleeding heart bushes. Every spring, green shoots poke out of the ground, reminding me of her. Some of the memories that these plants jostle in my mind are bittersweet. The last summer she was with us, Mom was frustrated by her inability to garden. She had a cancerous brain tumour, which affected, among other things, her sense of balance. A few times, I went out with her and had her lean against me so that I could steady her while she planted her prized wave petunias in pots around the yard. I wish now that I would have done that more. I think about bringing my first beagle, Gabe, home and how much Mom and Dad enjoyed spending time with him. I think about lying with my mom on her hospital bed in the living room. I think about sitting around the fire pit in the back yard, singing "When Will I be Loved" with great gusto, with my sister. 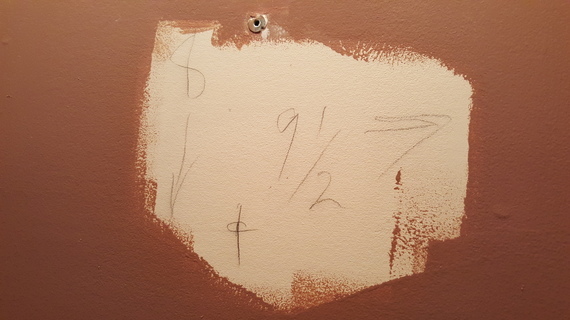 I think about my dad's measurement calculations, scribbled on the wall under the bathroom mirror, which he put there to help centre the mirror. I think about moving, too, sometimes. I know I will one day. I'm 45 now, and being a single homeowner isn't easy. There is an elderly woman who lives a few blocks away from me. I see her out in her yard, mowing grass in the summer, shoveling snow in the winter, and I can't imagine doing that at her age. I think about spending my retirement in a townhouse or a condo, or at least a duplex. A smaller yard, less snow, less work and worry. One of my cousins recently sold his family's home in New Westminster, B.C., a city which is part of the Greater Vancouver Regional District. Three generations of his family lived and loved in that home. He has been posting about his journey on Facebook, and it has been bittersweet to watch his life move on to a different path. But with Vancouver's hot housing market, it was a good time for him to sell. He has purchased a beautiful brand new townhouse. It's a path I can see myself following. Someday. Someday -- but not yet. I'm not ready to let go of my stuff, my house, my memories. Not yet.